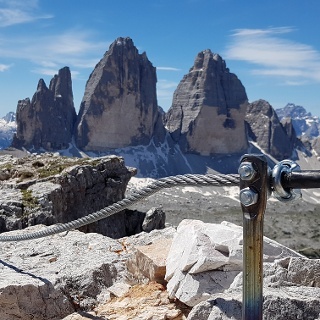 The „Torre di Toblin“ via ferrata offers a 360-degree panoramic view from the top. 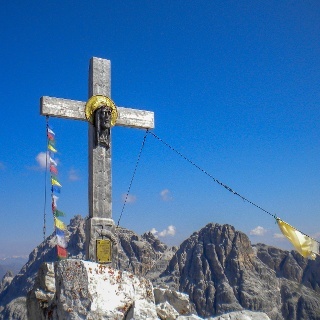 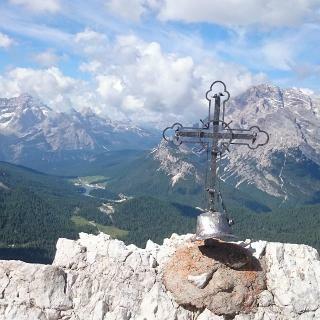 You return to refuge Tre Cime/Three Peaks and climb up the via ferrata of peace to the top of the „Monte Paterno“. 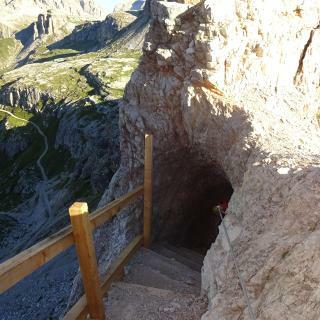 Then descend to the „forcella del Camoscio“ and continue eastwards along the equipped path until you reach the refuge Pian di Cengia, then descent to refuge Zsigmondy/Comici.